As the American economy continues to rebound, consumers are spending more on food and retail goods. This increase in spending means more diesel-powered vehicles are required to transport goods from manufacturers to retailers. Companies in Arkansas are experiencing the increase in shipping demand, requiring them to purchase more diesel-powered vehicles to help keep up. 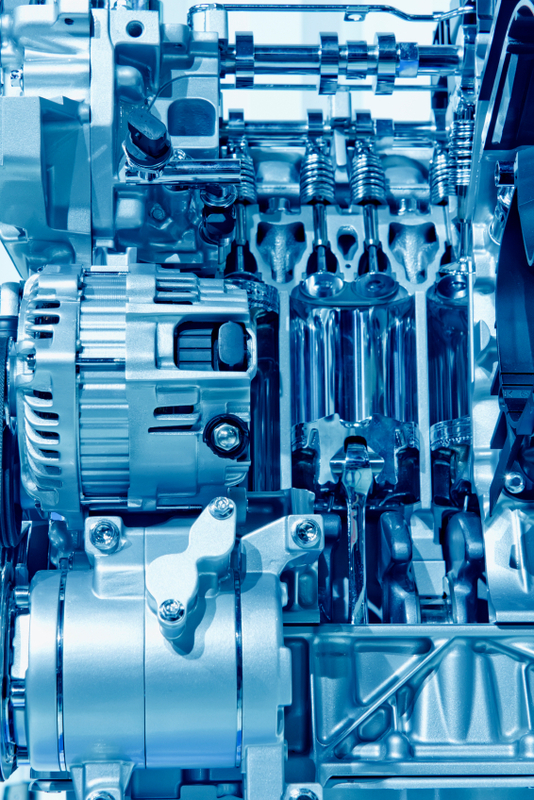 Because of the essentiality of diesel-powered vehicles, companies are looking to hire additional certified diesel mechanics to service and maintain their growing shipping fleets. Certified diesel mechanics who have earned their certification or degree in diesel technology face job stability and numerous employment opportunities in Arkansas. Individuals who wish to become certified diesel mechanics need to contemplate enrolling in a diesel technology program at a vocational institute or community college. These schools often have prerequisites that their students must meet before they are eligible acceptance. The most common prerequisite among these schools is that applicants must have earned either their GED or high school diploma prior to enrolling. Some community colleges hold a prerequisite that their applicants must have successfully passed four years of high school English and two years of high school math and science. While some Arkansas companies consider hiring a diesel mechanic who has several years of experience but no formal degree, most companies prefer to hire employees who have earned either a certification or degree in diesel technology. A small number of Arkansas employers have begun offering certification courses for new hires who have not had any formal education, but this is often the exception rather than the norm. For diesel mechanics looking to earn their certification or degree in diesel technology, attending a technical institute or community college will help prepare them for entrance into the workforce. Before students make the final decision on which school to attend, they should verify that the school is accredited through the National Automotive Technicians Education Foundation (NATEF), which prepares them for certifying in a specialized field of expertise upon graduation. When it comes to available degrees, aspiring diesel mechanics have the option to pursue an Associate of Science in Diesel Technology, which takes roughly two years to complete, or the Bachelor of Science in Diesel Technology, which requires four to five years of dedicated study. Students who are looking for a hands-on degree program should earn an associate’s degree in diesel technology, which is designed to give students the skills and techniques they need to enter the workforce as quickly as possible. Most of the coursework for diesel technology programs is done in a garage or lab environment, with instructors teaching students how to diagnosis and repair varying mechanical issues that plague diesel engines. Students who one day wish to work in a management position often decide to pursue their bachelor’s degree in diesel technology. This program is designed to give students a deeper understanding of the inner workings of a diesel engine, teaching them the methodologies and core fundamentals in diesel repair techniques. Some of the courses that students will be required to take cover general subjects, such as biology, algebra, and humanities. Diesel mechanics are encouraged to earn their certification or degree in diesel technology, even though Arkansas does not require mechanics to be certified to legally work in the state. Most employers in Arkansas are now requiring diesel mechanics to complete their certification in diesel technology. Individuals who are looking to stand above their competition and increase their chances of landing a higher paid position as a diesel mechanic should consider taking an exam through the National Institute for Automotive Service Excellence (ASE). By passing this exam, diesel mechanics get certified to work on electrical systems, preventative maintenance, brakes, and steering systems for diesel engines. According to studies conducted by the U.S. Bureau of Labor Statistics (BLS), companies throughout Arkansas employ 3,400 diesel mechanics who earn an average wage of $34,830 a year. The BLS projects an optimistic outlook for the diesel mechanic industry, with the growth rate for this sector expected to hit 15 percent by 2020. Local Government: As municipal governments continue to add snow plows, front loaders, and garbage trucks to better serve the growing population, more diesel mechanics will be required to service, maintain, and repair these diesel-powered vehicles. Local Garages: For entrepreneurial diesel mechanics, the opportunity to become their own boss is likely to grow as more diesel-powered vehicles are hitting the road way. Diesel mechanics working at local repair garages will likely service third-party vehicles. Charter Bus Industry: As Baby Boomers continue to reach retirement age, a growing number of seniors will choose to take day trips and vacations while sitting in the back of a charter bus. Diesel mechanics maintain and repair any mechanical problems with the charter buses. From hauling goods to transporting people, diesel-powered vehicles play a growing role in the economy of the United States. As the number of diesel-powered vehicles continues to increase, a larger number of diesel mechanics will be needed to make sure the diesel engines are running at tip-top shape.